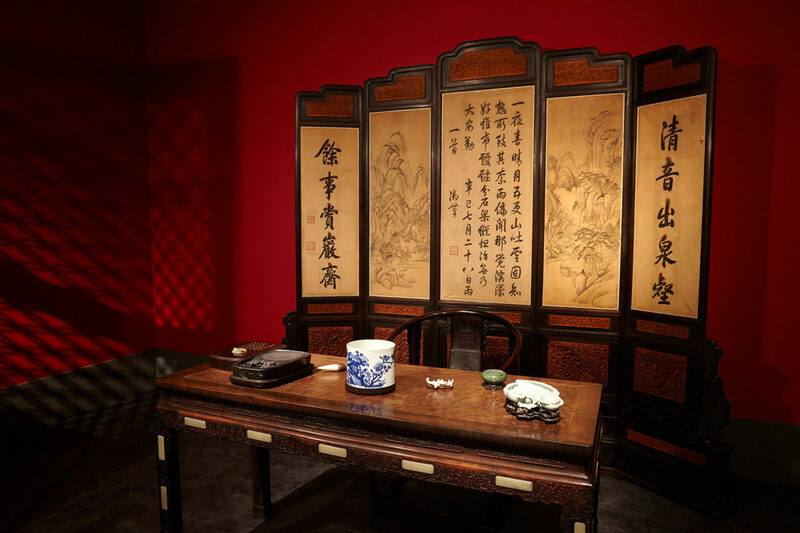 Τhe study room of Qianlong in the Palace of Many Splendors Qing Dynasty, Qianlong Reign (1735-1796). Photographed by Giorgos Vitsaropoulos. On Friday 5 October 2018, the Acropolis Museum will start new gallery talks about the temporary exhibition “from the forbidden city: imperial apartments of Qianlong” (14/9/2018 – 14/2/2019). Together with Archaeologist-Hosts, visitors will enjoy a rare exhibition on China’s Emperor Qianlong (1711-1799) with a first time presentation to the public of remarkable artifacts representing over100 years of Chinese culture of the 18th century. The design of the exhibition was inspired directly by the buildings, colors and forms of the Palaces of the Forbidden City. The exhibition boasts154 exquisite works of art, ceremonial robes, furniture and functional objects from the Emperor’s private apartments in the Palace of Many Splendors (Chonghua Gong). English: every Friday, Saturday and Sunday, at 11 a.m.
Greek: every Friday, Saturday and Sunday, at 1 p.m. Participation: For registration, please refer to the Information Desk at the Museum entrance on the same day. Limited number of visitors per session. First-in first-served. The gallery talk is free of charge. Only the admission fee to the temporary exhibition is required (3 euros).